Cash is king! Every business needs cash to meet its financial obligations. But how much cash a farm generates is not a very good indicator of how the business is performing. One of the main reasons is cash basis taxation. The right to file taxes based on cash rather than accrual income gives farms tremendous flexibility to manage taxable income. The result is that very high performing farms and farms that are struggling financially often have similar bottom lines on their Schedule F’s. 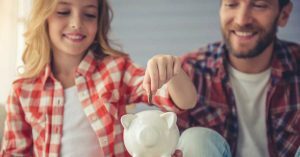 What is Accrual Adjusted Income? 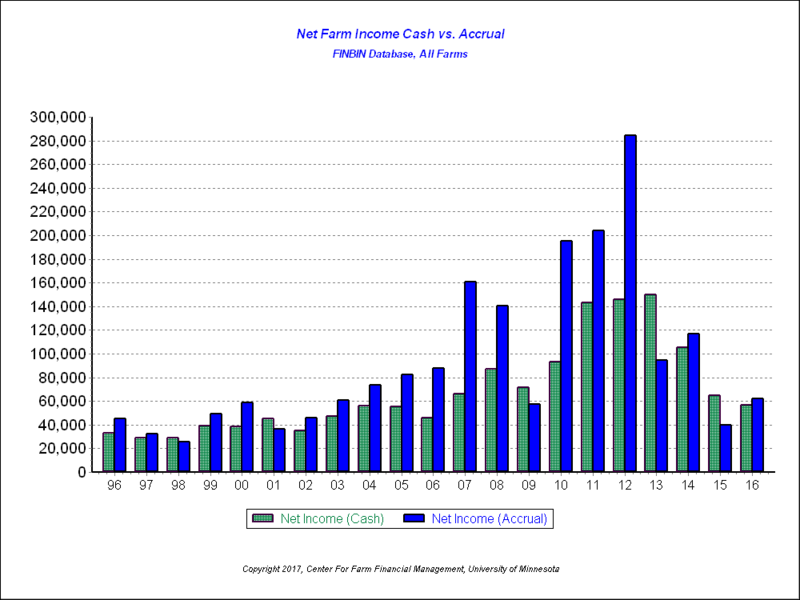 FINPACK’s Accrual Adjusted Income Statements paint a more accurate picture of each farm’s financial performance. By adjusting for inventory changes, they reflect the value of everything produced during the accounting period less the cost incurred to produce that. Accountants call this the “matching principle.” If one borrower sells $100,000 worth of inventory in December and his neighbor holds that inventory and sells it in January, the impact on FINPACK’s net farm income will be the same. In the case of cash flow projections, the bottom line net farm income is unaffected by plans to sell more than or less than one- year’s production. Here is the difference between cash and accrual net income for the average FINBIN farm over the past 20 years. For the average farm, there has not been much difference and usually, accrual profitability has been better than cash, as high-income farms push income into future years. Unfortunately, however, not all farms in the portfolio are average. Here is what it looks like for the lower income farms. Lower income farms often have to liquidate inventories to meet their obligations. And they don’t need to push income forward to manage their taxes. It is important to recognize both situations, but as lender trying to monitor exposure risk, it is important to identify those farms that are struggling to meet their obligations as early as possible. Sometimes accrual analysis can provide an early warning sign of developing problems (see 2013 in the graph below). FINPACK’s accrual adjusted income statements provide a better picture of true farm profitability each year. 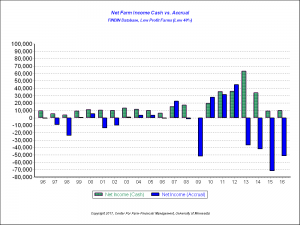 FINPACK’s financial analysis and projection tools calculate accrual adjusted net farm income. Looking at a cash income statement or cash based Schedule F tax statement doesn’t account for inventory changes during the year. Factoring inventory changes into cash income gives a more complete look at true farm profitability and performance, by measuring the value of production during the period. FINBIN data is provided by our partner farm business management programs in 10 states. Here is a link to information about those programs. We thank our partners and the producers who make this information available to the industry via FINBIN.